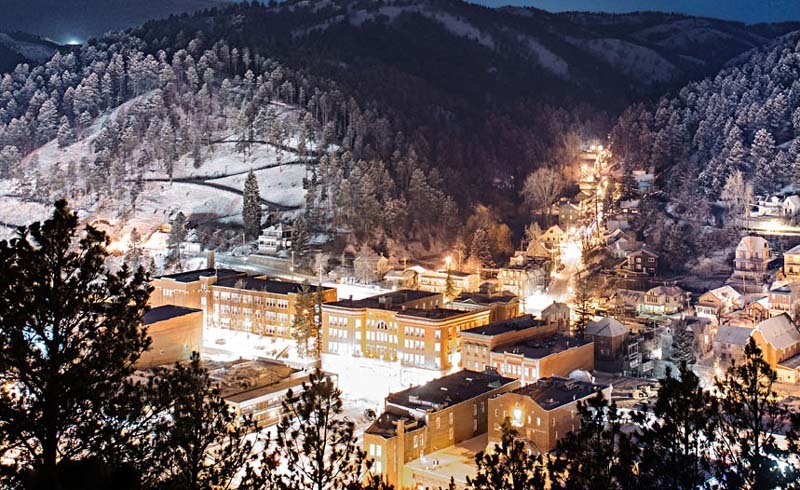 In South Dakota’s Black Hills, snow paves the way for rugged, secluded experiences. When winter dusts the Black Hills, it transforms the tallest peaks east of the Rockies. Mount Rushmore tourists dissipate. Taverns become sanctuaries. And a rugged stillness returns to the western rim of the Midwest. 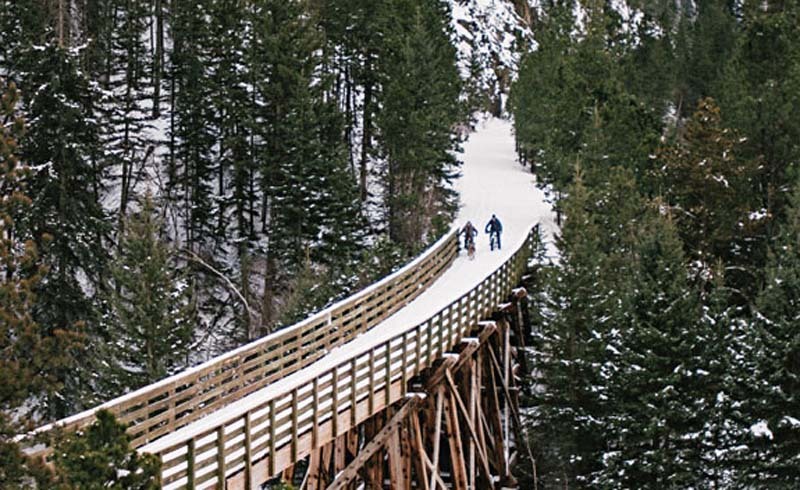 In western South Dakota, snow paves the way for adventure. Each crunching step or crank of a fat bike’s pedal reveals snowy tracks that prove you’re outnumbered—by coyotes, deer and Bighorn sheep. 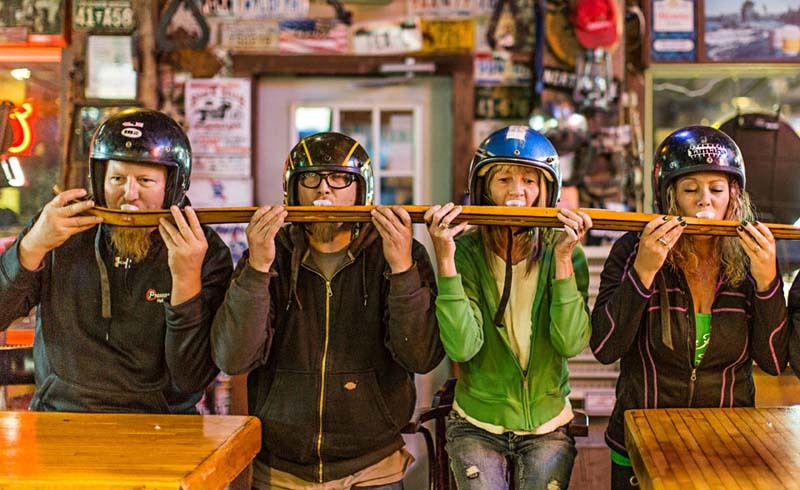 Back in Lead, locals and travelers share tales from the slopes and trails. Beers and burgers thaw them from inside out. 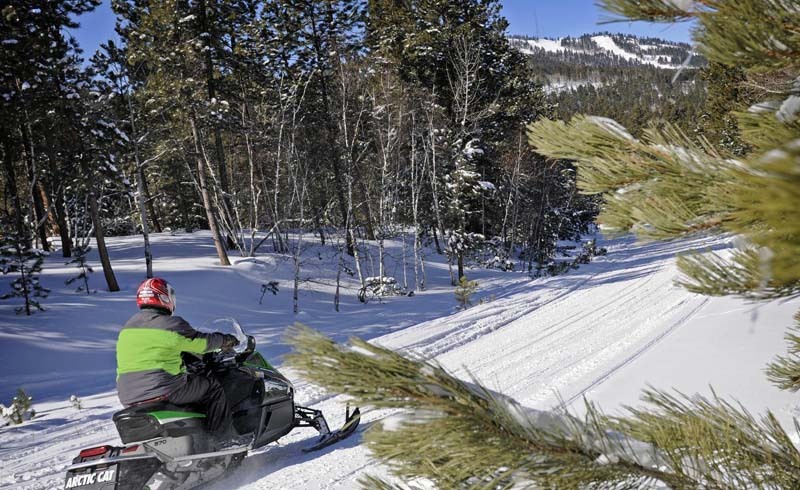 Snowmobilers navigate trees and rocky outcrops along 350-plus miles of groomed trails in the Black Hills National Forest. 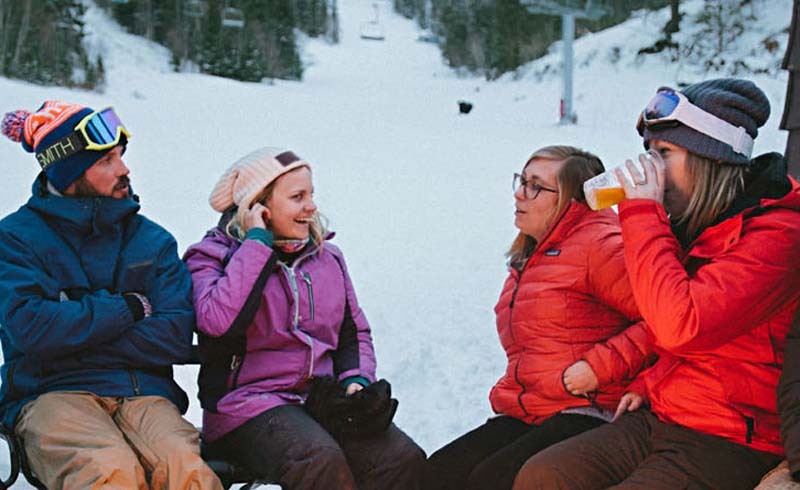 An ear-popping chair ride sends snowboarders and skiers to the 7,100-foot summit of Terry Peak. With 40 runs, it’s the highest ski destination between the Rockies and the Alps. 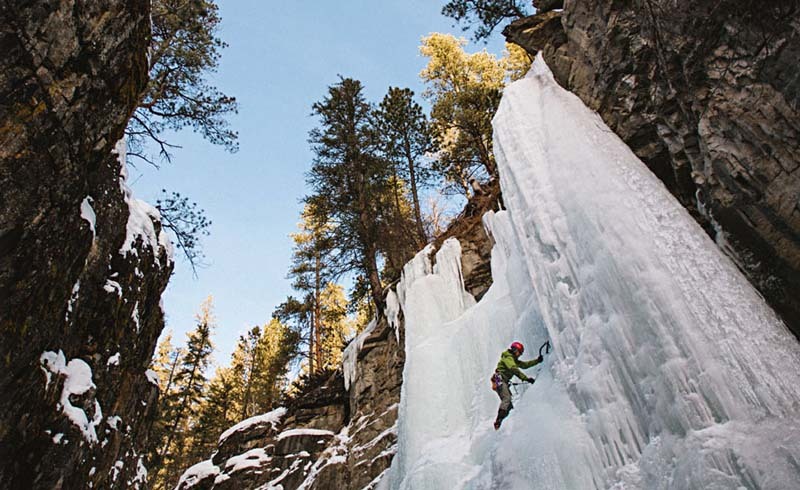 Other adrenaline junkies power through snow on fat bikes or sink ice axes into frozen cliffs and waterfalls. A scenic drive skates among these icy features south of Spearfish. The uncongested winter route beckons for a selfie in the middle of an empty road. Snowmobile parking takes priority at Lewie’s. 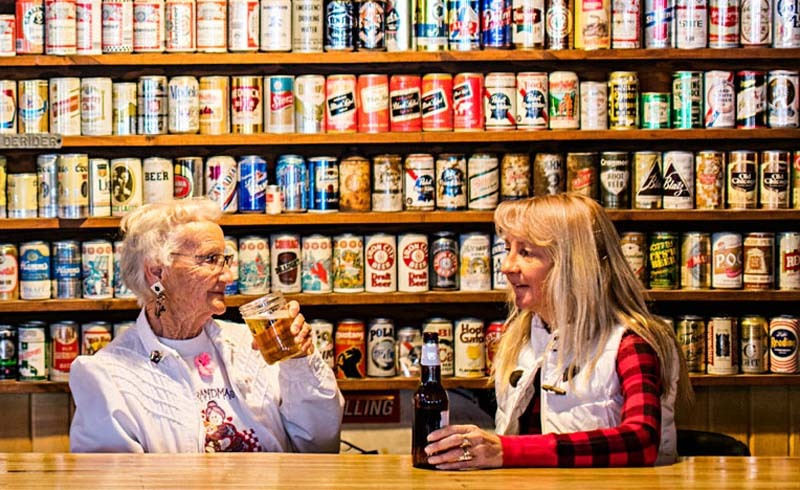 The iconic roadhouse in Lead boasts the best burger in the Black Hills, served beneath a shrine of old chainsaws, mounted game and a wall of old beer cans. Down the road, Akela Spa of Deadwood rejuvenates weary bodies and minds with a steam room, dry sauna and hot tub in its year-round garden. Visitors retreat for the night to Lead’s Spearfish Canyon Lodge to find the roaring flames of a stone fireplace warming the great room and cheeks chilled from a day of outdoor play.